Minneapolis. It's a city with heart, a place to kick it up a notch at a club or knock back a hard one with friends... A place to explore what it means to feel (or be) young. When some people hear the word Minneapolis, they think of a sleepy hub in the middle of the cold, desolate wasteland that is the Midwest—and that image couldn't be further from the truth. Our city has charm; it's the roaring hearth of a fire during our long winter months that keeps our minds sharp and our lips smiling. If you dig beneath the surface, you'll discover an abundance of culinary innovation, creamy cappuccinos in hip cafes, sprawling parks for snowshoeing and picnicking (depending on the weather), shopping experiences that aren't in the Mall of America, and art. Modern art, classical art, whatever you like. Just amazing art. There are a few art museums in Minneapolis that beckon to the senses, but none of them can top our all-time favorite museum: the Minneapolis Institute of Art. And here's why ... in 10 amazing photos. Funky modern art, in true DIY fashion. The MIA (as we affectionally call the Minneapolis Institute of Art) is full of great collections, many of them as unique and contrasting as this one. From crazy rainbow wheels to DIY baskets made from wooden boxes, these dazzling old-school bikes—and other cool finds—are sure to tickle your fancy. These rooster weathercocks (with a horse thrown in, because why not). If there's something more Midwestern than wind vanes, I'm not sure what it is. These beauties look like they were plucked straight from an antique shop, and they're ready to tell you which direction the wind's blowing. Or they would be, if that one-trick pony wasn't trying to steal the show! A little creepy, a little cute. Which one? You decide. 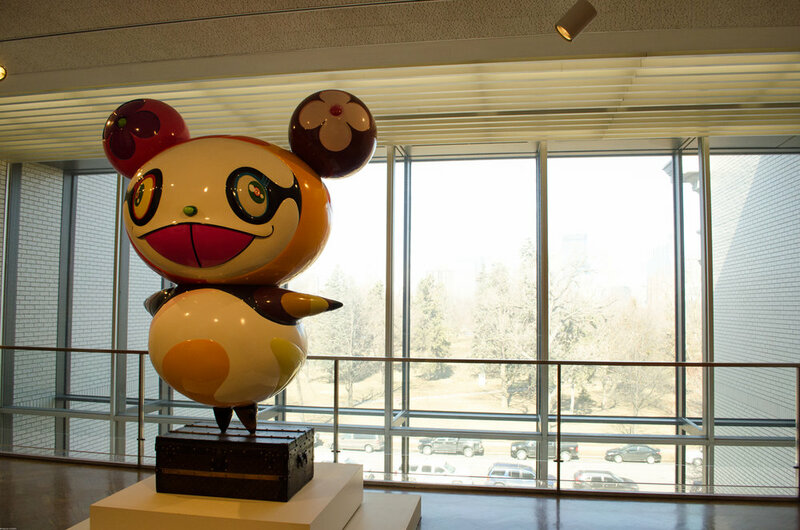 What would an art museum be without a statue of an unidentifiable animal thrown in for good measure. Is it a mouse? A bear? The world may never know. Bonus points for the skyline of Minneapolis in the background, which is beautiful to behold when the sun isn't washing out your carefully shot photography! Art that tells a story—A.K.A eye candy. There are some really fantastic paintings in the MIA, including several by Vincent Van Gogh, Rembrandt, and Delacroix, to name a few. 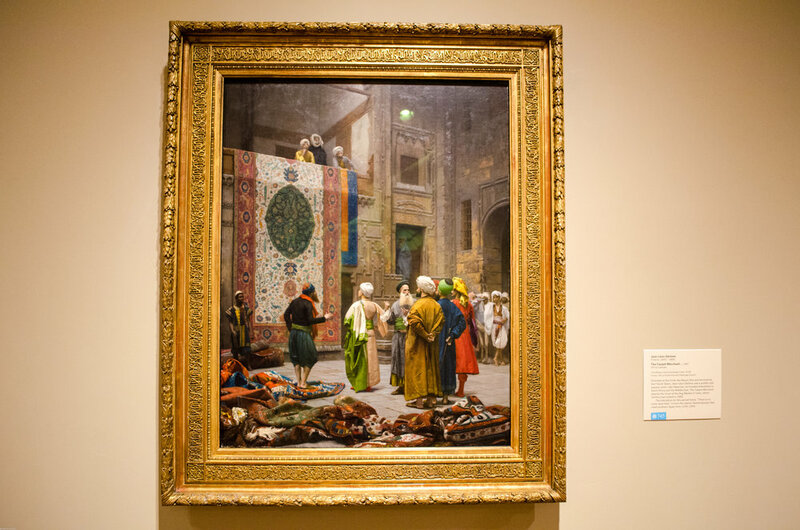 The Carpet Merchant by Jean-Leon Gerome (pictured above) is one of many pieces of art that truly speak to the eyes ... and the soul. Does it transport you to Cairo? It does us. Art studies by local students. No matter which art museum you go to, you'll likely see a few people sitting nearby, sketching in their notebooks. At the MIA, however, the study of art is treated differently. Students are encouraged to come—individually or as a class. Then they put down chairs, pick up their drawing pads and pencils, and learn from the art of the ancients. We applaud their dedication; it's inspiring! MIA's galleries are larger than life. There will come a moment when you turn a corner at the MIA and enter a hall that just seems ... larger than life! Tapestries and colorful mosaics cover the walls, cases filled with impossibly old armor, war paraphernalia, and jewels sparkle in the overhead lights, and statues reach out to greet you. It may seem empty, but trust us, you'll spend a lot of time in these open rooms. Speaking of statues... While Ben has always loved paintings, I love statues. They toe the line between the artist's vision and reality. Some of them look incredibly real, down to the eyes that follow you as you drift across the room or the marble veil draped so thinly over a woman's face, you can see the curve of her seductive smile. Oh, the stories they could tell. Intriguing galleries with popping colors and images. If you get tired of wandering through gallery after gallery of classical paintings, Asian pottery, and old-American dish ware, don't worry. MIA's got your back with their crazy rotating galleries. This one, Untitled (Structures), splashes a ton of color into an otherwise cream-and-beige filled museum—as you can see in the previous photos. Walking through the several rooms in this gallery is an absolute treat to palate fatigue. Go in, and come out refreshed. Take your time. We'll wait. Secret gems for the literary nerd. If paintings, sculptures, and cutlery isn't really you're thing, don't write MIA off just yet. There's also literature on display, like this collection of first edition Jane Austin novels. Learn about the novelist and gaze, awed, at her books (aren't they beautiful? ), then grab a Jane Austin book off the shelf next to the display and sit by a crackling fire to read some of her famous first lines. You absolutely want to know more about Minnesota now, right? Right? If this is the case, make sure to check out the sprawling bookshelf on the first floor by the coffee shop—you can't miss it. This bookshelf is filled with resources on art and artists, Minnesota, nature, architecture, wood-working, and more. We highly recommend grabbing a coffee and settling down to flip through some of these visually-enticing reads. It's a great way to cap a perfect visit to the MIA. 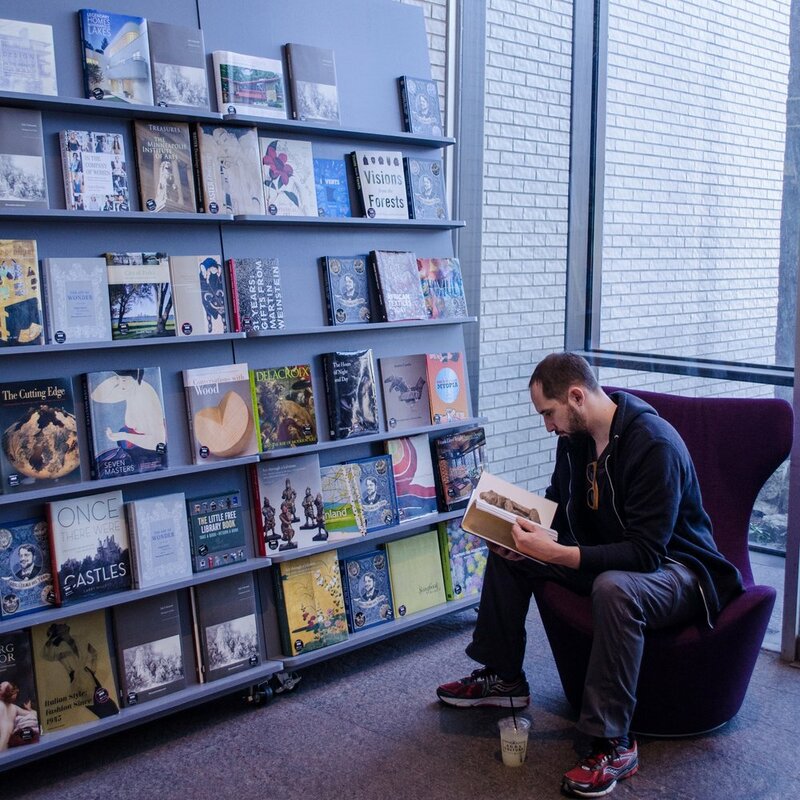 Want to learn more about the Minneapolis Institute of Art? Check out their website. We hope you visit if you're in Minnesota, and really, there's no reason not to. It's free!